While the DC will be launched at the month-end, its structure will take a few more months to be put in place and the council will come on stream only after elections to it are held. The DC has been in the works for months now by as part of the government’s Make in India plan and recommendations of the Niti Aayog’s Committee to “Transform India’s Gold Market” issued in February 2018. The ministry prepared an outline structure of the council and handed it over to the working group, comprising 14 industry associations, to finally create a DC. 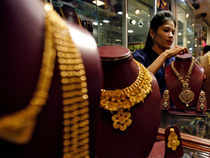 The working group will set up an ad-hoc committee, comprising members of Gem & Jewellery Export Promotion Council (GJEPC), India Bullion & Jewellers Association (IBJA), All India Gems & Jewellery Domestic Council (GJC), Association of Gold Refineries & Mints (AGRM) and Bharat Diamond Bourse (BDB), among others, to finalise the DC structure in around three months. The chairman of GJEPC, currently Pramod Agarwal, will be convenor of the ad-hoc committee. GJEPC chairman Agarwal, Rajesh Khosla, president of AGRM, and Surendra Mehta, national secretary of IBJA, were among those present at the meeting with the DGFT.